12 March 2015, Sendai, Japan – Secretary Corazon “Dinky” Soliman, Head of the Philippine Delegation to the 3rd UN World Conference on Disaster Risk Reduction (3WCDRR), took part today in an indoor tree-planting ceremony honoring the memory of the victims of the 2011 Great Tohoku Earthquake that struck this region. The tree-planting event was organized by KIDS NOW JAPAN, a Japanese NGO established in 2013 to support children in disaster-affected areas. Delegation Head Sec. 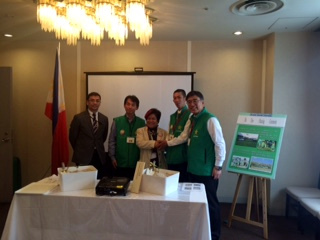 Dinky Soliman plants an oak sapling in honor of the victims of the Tohoku earthquake. Secretary Soliman planted an oak sapling on a specially-prepared tray, in a short ceremony witnessed by Philippine and KIDS NOW JAPAN officials. 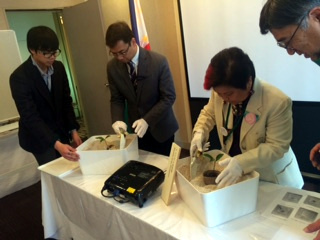 Joining Secretary Soliman in planting a memorial sapling was Mr. Josel F. Ignacio of the Philippine Embassy in Tokyo. 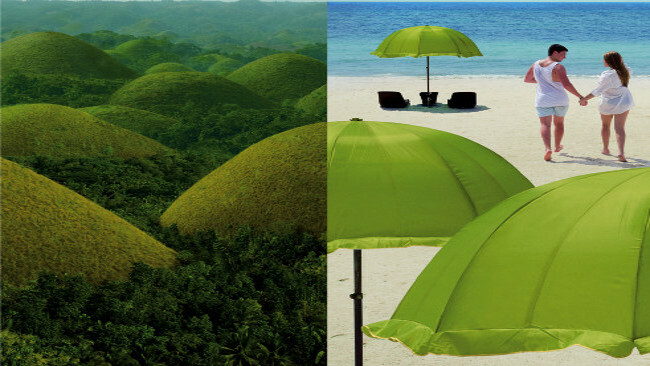 The saplings, sourced from the Imperial Household of Japan, will join saplings planted by other visiting dignitaries in a nursery, where they will be looked after for two years, after which they will be transferred to a seaside park in Sendai memorializing the 2011 tragedy. Once replanted, the plants will be accompanied by plaques inscribed with the names of participating countries. KIDS NOW JAPAN Officials thank Secretary Dinky Soliman and the Philippines for participating in the tree-planting ceremony. KIDS NOW JAPAN sees the 3rd WCDRR as an occasion to both remember the victims of one of Japan’s greatest natural disasters in recent memory, and to instill disaster preparedness among young Japanese children. It requested high-ranking representatives of foreign delegations and their respective Ambassadors to Japan to participate in the ceremony.